Competing for attention with the races for governor and state superintendent — and ballot questions on historical horse racing and Medicaid expansion — several school bond issues and levies will also appear on Tuesday’s ballots. The rapidly growing community college will seek a 10-year, $39 million plant facilities levy for a new health sciences building. If approved, the levy would bankroll a four-story, 105,000-square-foot building to serve 2,500 students, spokesman Ashley Smith told the Idaho Press. The target opening date is the fall of 2022, Smith said. Unlike a bond issue — which CWI has floated in the past — the levy requires only a 55 percent supermajority to pass. Factoring in interest, the cost of the project will come to $47 million over a decade. The proposal will appear on the ballot in Ada and Canyon counties. Two CWI trustee races are also on the ballot, including one contested race. This Canyon County bedroom community district heads back to the polls with a series of separate bond issues totaling $28.8 million. Each measure requires a two-thirds supermajority to pass. A $23.7 million bond issue for a new elementary school. The cost comes to $90.26 on $100,000 of taxable value. A $2.75 million bond issue for safety upgrades and renovations at Heights Elementary School. The cost: $10.48 on $100,000 in taxable value. A $2.4 million bond issue to acquire land for new school sites. The cost: $9.01 on $100,000 in taxable value. These proposals aren’t new. Similar bond issues, covering all three projects, have twice fallen shy of the two-thirds threshold. Most recently, in August, a bond issue received 59 percent support. This time, however, Middleton seeks voter support while sitting in the midst of a local firestorm that has drawn national media attention. The district has placed 14 Heights employees on leave after they wore racially charged Halloween costumes to school. 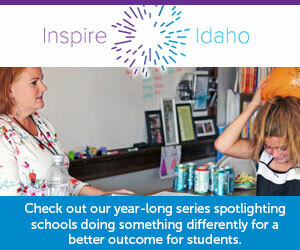 The East Idaho district is seeking a two-year, $6.2 million supplemental levy to boost teacher salaries, hire teachers and counselors and fund full-day kindergarten and technology purchases. Teton has collected an identical levy since 2013-14. The East Idaho district is seeking a 10-year, $2.75 million plant facilities levy to cover a variety of building maintenance projects. Voters will decide whether to increase Moscow’s “indefinite term supplemental levy” by $1.9 million, bringing the levy to nearly $11.5 million a year. The district says the levy helps cover a variety of programs, such as all-day kindergarten, gifted and talented offerings and electives in the secondary schools. Some of the money also goes into staffing. Voters decided to make Moscow’s levy indefinite in a 1992 vote. The district has increased the amount of the levy several times since then, most recently in 2011. The East Idaho district says a two-year, $600,000 supplemental levy will augment salaries and benefits, and will not raise taxes. The levy has been on the books since 2013-14. Check back Tuesday night for all education-related election results — and through the week for full coverage. For more coverage, check in at our elections page. College officials could take another run at the health science building proposal in May. In interviews with the Idaho Statesman, local Hispanic leaders discuss the Middleton Halloween controversy — and explain why they consider the staffers’ costumes racist.